Big Lie #2: Secular Humanists Have All The Resources! This is the second Big Lie of the enemy that we are considering in our current series. You can reference Big Lie #1 and our overview earlier posts. The second great lie is all about money and other resources needed for ministry. This lie is insidious – and ridiculous! The LORD owns ALL the resources, even the ones the secular people think are theirs! This lie is meant to strip us of confidence in God’s power and alignment with His obvious desire for our partnership in mercy and love. There’s money all over the place! Christians have literally tons of money! We have simply forgotten, or never really understood, that it is all the Lord’s money. That’s $139 BILLION! Both of the quotes above come from the extensive stewardship resource http://biblicalstewardship.net/statistical-research-on-stewardship/, accessed online on September 27, 2014. Our inability to fund causes of evangelism, justice, life of the innocent unborn and the aged, and family rescue, has little to do with the availability of resources! It has to do with priorities of the heart. To Jesus, obedience to God, mercy, and love were the context for giving. No amount was too small, if the giver’s heart was focused on God. Also, it is in that context that the gospel is most readily understood and most genuinely presented! 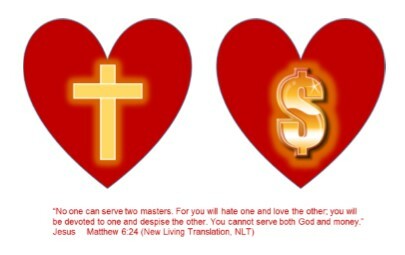 If Christians’ hearts opened to the causes the Lord loves, and millions Christians released just $50.00 or $100 to Jesus each and every year for life causes, what do you think would happen? We could propel the Life movement from womb to tomb! We would save unborn babies, and fatherless infants, frightened foster children, teens with no home, families drenched in poverty, and the aged who have no hope! For that same amount of money, many millions could hear the gospel in the context of helping ministries all over the world! Many families facing homelessness would be spared that heartbreak and danger. Many wanting to adopt could get a “scholarship” for adoption! Oh, what we could do that would glorify the name of Jesus! Craft the story of pregnancy centers as the family rescue outposts of the Body of Christ that they are! Help the Church understand that we are there to assist the Church to meet Christ’s objectives of loving our neighbors in the world! Ask parents in the churches of your town to unlock $10 of the Lord’s money in honor of each child or grandchild the Lord has given them, whether on earth or in Heaven. Use it to “let the little children come unto Me (Jesus).” Some can do that every month! Give that amount yourself to your center for each of your own children and grandchildren. Ask Christian parents to rescue the children who could be born next year if their moms receive honest information, make an informed choice for life, and get some love and practical help they need from the Church! Let’s see what The Lord does with this challenge! Let’s support it with a year of serious prayer! The State of Church Giving through 2011: The Kingdom of God, Church. Leaders and Institutions. Global Triage Needs, and the Promises of Jesus. John and Sylvia Ronsvalle. Published by empty tomb, inc. First printing, September 2013. Available on Amazon.com, and probably interlibrary loan. We are so grateful to Jim and Kaye Johns of PrayerPower for creating the unique resource, Unwrapping the Gift of Prayer, for SMSC Centers to use in deepening their prayer life. Refer to the earlier blog post by Jim and Kaye to see some of the materials that will be used in Unwrapping the Gift of Prayer. Here are two documents you can download and review! If you want more information, please complete the Sign-Up Sheet, scan and email it to unwrapprayer@att.net. You will be contacted.